I’m buried in paperwork; have a graduation to attend and need to get a present; the front yard needs mowing; and we have a severe thunderstorm watch. It’s about that time when I call the wildlife guy to spray around the property to keep the snakes out but first we need a week without rain. Did I say that I don’t like snakes? A few people have said that they would like to continue discussion about Frank Taaffe’s most recent statements. If you haven’t heard his most recent interview, click here. This is open discussion where you can discuss anything. I’ll be checking in but don’t suspect having time to blog any specific articles until after tomorrow. 2dogsonly has requested that we start a new thread to continue discussion about Frank Taaffe’s latest revelations. Frank Taaffe, who came into the spotlight early defending George Zimmerman, now wants to clear his conscience. He interviewed withJohn W. Davis, Seminole County Reporter of My News 13. Taaffe now says that Zimmerman should have been found guilty in the shooting death of unarmed, 17-year old Trayvon Martin. It’s about time that HLN accepted what others have known about Frank Taaffe since he first came on the scene defending George Zimmerman. His interviews then were filled with dog whistles and it was only a matter of time before he became emboldened to unzip and expose himself all the way. Thanks for writing this. 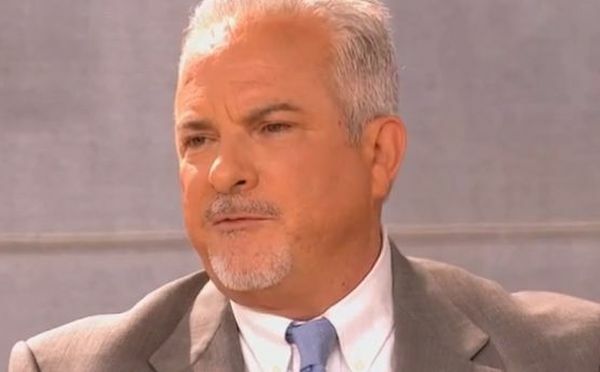 Frank Taaffe, who has been an outspoken defender of George Zimmerman and Michael Dunn in the media, told HLN’s Nancy Grace that racist comments attributed to him were “not true” and were a result of his Twitter account being “hacked.” But previously, Taaffe justified the comments and audio evidence of those comments are available online. “Make a living.” Those words were spoken by Frank Taaffe Wednesday night on Nancy Grace’s program in response to her saying that George Zimmerman’s celebrity boxing match is disrespectful. People who make a living by killing another human are called assassins, not celebrities. Here is a recap of George Zimmerman’s living before he killed Trayvon Martin, while awaiting trial, and since his acquittal.